This week I have been designing a vRealize Automation 7.2 solution for a customer. One of the things that came out of the solution requirements workshop was the ability for vRA to deploy and potentially manage containers. Whilst I knew it was possible, it encouraged me to look deeper at the technology. Thankfully it wasn’t long before a use case emerged. The customer in question has dedicated teams for managing separate areas of the IT estate. 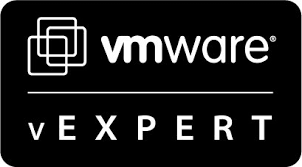 One of the teams, storage, looks after vSAN – but the virtualisation team is unwilling to give continuous unfettered access to the Ruby vSphere Console built-in to the vCenter Appliance. Thankfully William Lam released a post last year about using RVC in a container. As great as that is, it leaves the burden of installing and configuring it with the storage administrator. Let’s go ahead and add that to our service catalog, so that it can be consumed by the admin on-demand for when he needs it. The first thing to do is deploy some container hosts. One way to do this is to manually provision them using the Photon OVA straight into the vSphere Client. However, we can leverage the power of vRA straight out of the box and provision directly from the catalog (with a little work). Please note: the following assumes you’re comfortable with creating/editing blueprints, entitling catalog items and configuring network profiles. If you’re not, I urge you take a look at one of the awesome VMware Hands On Labs, or pick up some reading material. It is also assumed you have the appropriate permissions in vRealize Automation to perform all the necessary functions. I implement RBAC, hence why some of the screenshots show Incognito mode in Chrome (one admin, one consumer). Finally, convert the newly deployed machine to a template. Click the Network tab, followed by New. Select the appropriate network for the vSphere machine to join. When done click Finish. Finally, select your blueprint and click Publish. Click the green plus icon and then select the Photon item you configured above, followed by OK. Ensure the item is entitled accordingly. Click the drop-down box to the side of Provision and select Enter additional info. There isn’t much more to configure, so click Save as Template. Edit the template name to be something more meaningful for your consumers. Hover over the plus icon to the right of the template and click Add Network. Give the network a name and click Save. When back at the template screen, drag the network icon to connect to the newly-created network. Click OK to return to the canvas. Select the network, then check the box to mark it as external. Finally click Finish. Highlight your blueprint and click Publish. Select your service catalog as before, followed by your chosen service. Click Manage Catalog Items, and add the blueprint you just published. You can also select the Catalog Items tab, followed by the item itself, to configure additional options (different icons etc.). Lastly, don’t forget to ensure your service is entitled. From the Catalog tab, request the new item. The provisioning status can be monitored from the Requests tab. Once the container has been provisioned you can access it from the Items tab. In this part we deployed a number of Photon container hosts from our service catalog. We then created a container template and deployed it to the hosts. Whilst this is good, the ability to provision on-demand networks for this would be even better. That will be covered in part 2.
do you assume vlan 30 is a DHCP network so the template gets an ip address? I also noticed you didn’t install any vRA agents on the template? is that by design? Yes exactly – it assumes DHCP. I found I didn’t need the vRA Agent, as only the VMware Tools and a customisation spec are needed to inject an IP address. I’ve deployed minimal photon ISO instance as a catalog item and it’s on the network, can ssh to the host. I’ve configured docker engine per some basic instructions on the web. If you were to add them manually as hosts does that work? http://www.vmtocloud.com/how-to-enable-docker-remote-api-on-photon-os/ helped get farther but still can’t import host, SSL certificate error. Is there an end to end doc that covers all this for “us” newbies? have you tried this in a HA vRA install? Yup. My installation is eights: two appliances, two web, two manager, two DEM/DEO. All load-balancing done by a pair of F5s. This is the error I get. I can telnet to 2375, I can browse and retrieve the JSON. Stay tuned, I got a GSS case open. Let me know… interested to hear the outcome of this! Got it. I’ll blog details but between your blog, these two links I got my template working. One thing in the vRA console, I was typing or https was getting added. I typed http://x.x.x.x:2375 and could verify. Showed how to adjust the docker networking. Known issue, I applied this hotfix. still searching for how to permanently change the default docker networking from 172.17 to something else. Modify whatever you want, I left 192.168.3.0/24 as that will work in my network. Hope this helps someone. Importing ssl certificate failed for server i am having this problem when trying to connect to photon controller. Any idea?